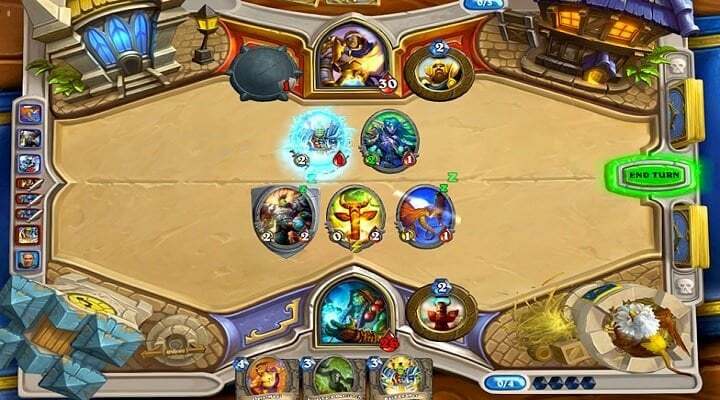 I have put together this article to help fellow players learn how to get better at playing Hearthstone with finding the best hearthstone guide they can buy. The basic walk through that the game makes you do before you really start playing covers the basics fairly well so this is going to focus on other tactics if you can call them that. There will, however, be some “noob Q’s & A’s” so feel free to skip over to topics that you feel only suites your needs. There are literally thousands of things to go over, that it’s hard to pick where to start. First off for this guide, I’ve gone over a lot of stuff that will help you across the board as an HS player. For a much more in-depth guide, I recommend looking at Hearthstone Mastery. This will give you a much more visual approach & more of a walk through than I can go over in this article. Tip: Buying Hearthstone packs through Amazon coins lets you purchase packs digitally in-game is a good way to potentially save money. They’re always running deals on these so keep an eye out for them! After you get your basic cards through playing the hero so many times, you will need to get the more advanced cards from packs which you buy with gold. Options are either buy them with real money or use gold which you gain in the game. For a new player make sure to focus on doing the quests and most of the solo play stuff. Playing against other players is a good way to churn out some gold but winning may not come as easy depending on many factors. This is why I say focus on the solo play stuff until there isn’t anything left to do. More cards = better decks = better gameplay. This isn’t an exact but that’s how it’s supposed to go essentially. If you go check out streamers on Twitch there are usually some decent players streaming while they play. This is a good way to get an over the shoulder look & also potentially learn some new ways to use cards in different ways. There are tons of different deck options out there & having a solid deck will make more difference than pretty much any other tip I can give you. This is why I mentioned how to get gold the quickest as my first tip because having gold will allow more packs which = a wider variety of cards to use for certain decks. There is no one deck that rules them all but there are many top rated decks that many will recommend. Here is a good resource to use for finding good decks for whichever hero you play as. I know this sounds cliché but even if you did have all the best cards/deck & you have no idea what to play in certain situations then you’re only going to get so far on the cards alone. This goes along with what I mentioned about watching streamers. Yes, you should watch them but eventually taking action & actually getting yourself in certain situations is going to do you better in the long run. This is what I like about Hearthstone because it’s a grind to get a lot of the good cards & it takes a lot of games played (unless you buy them with $). It almost forces you to get better in a way. Hopefully, this article has helped you out in some way, even if it was finding out how to buy Hearthstone packs on Amazon then I’ll take that as a thumbs up. Time, practice and really wanting to learn the game will get you further than you would imagine. This is basically a very enhanced version of chess if you think of it in a black/white type of setting. Just with a lot more variables & different move options. Keep grinding it out & best of lucks with getting better!